What do you do when you feel overwhelmed by the loving eyes of your furry friend, by his unceasing royalty, by his therapeutic bodily warmth? Well, belly rubbing and sniffing back and squeezing goes so far. In a long run, I personally feel that I owe my dog a lot more than just affection. To live a healthy, happy life, any dog, including my young German Shepherded, needs to receive regular exercise, ongoing training and the end of the day – yes affection (as Ceasar Millan recommends the order). Affection of course comes in many shapes and shade and indeed making the commitment to walk and challenge and feed him could only come from a loving heart for animals. Recently, I have been doing a lot of research as what is the best diet for dogs. Apparently, regular types of kibbles sold in supermarkets are not the best choice to put it mildly! Some advocate raw diet, some homemade foods, and yet others recommend high quality kibbles found in pet stores. So far I have not been able to make a definitive decision for a shift in my dog’s diet because arguments for and against each category are simply too many and making an informed decision would require the advice of a dog nutritionist. Meanwhile, I figure incorporating homemade snacks and treats into his current diet is a safe and savoury addition. All this to say, my way of treasuring my dog and his boundless love is through trying to make him live longer and happier, through cooking good food for him, that is! The recipes for homemade treats abandon on the net, and there are a few ingredients that the majority of dog lover chefs agree to be good. 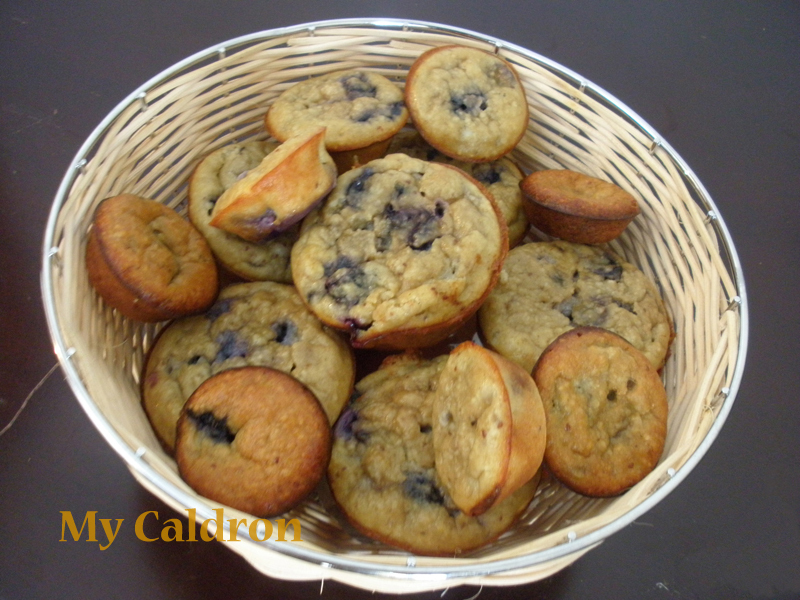 Blueberry muffins, for example contains coconut flour, peanut butter, eggs, homemade apple sauce and fresh blueberries – all of which are beneficial for dogs UNLESS of course your dog is allergic to one or more of the components. Always make your homework before deciding a new food for your dog and never take an “inexpert” word for it ever!! For apple puree: Simply peel, core and chop apples and transfer in to a medium pot. Add 1 tbsp. water and cook with closed lid over low heat until soft – it takes about 30-45 minutes. Mash with the back of a spoon and let cool. 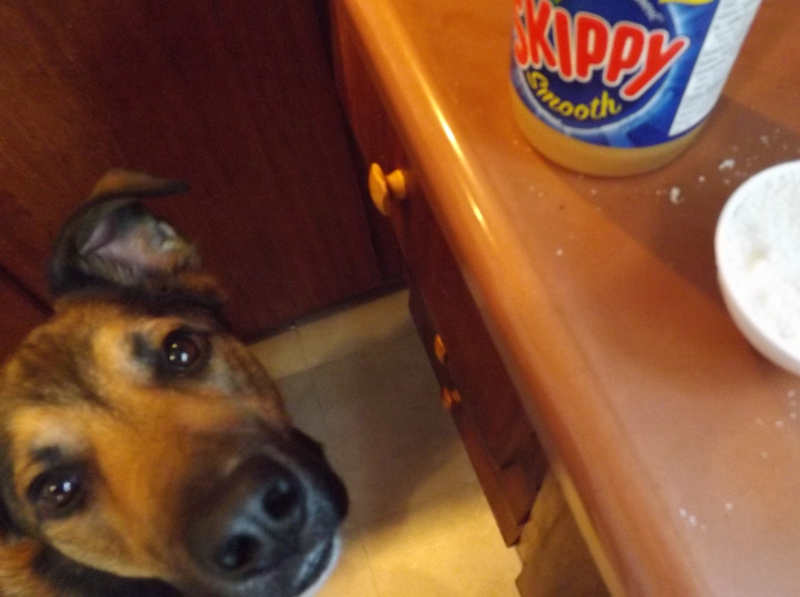 Note: Store apple puree might be sweetened, and as you know sugar is bad for dogs even more than it is for us! 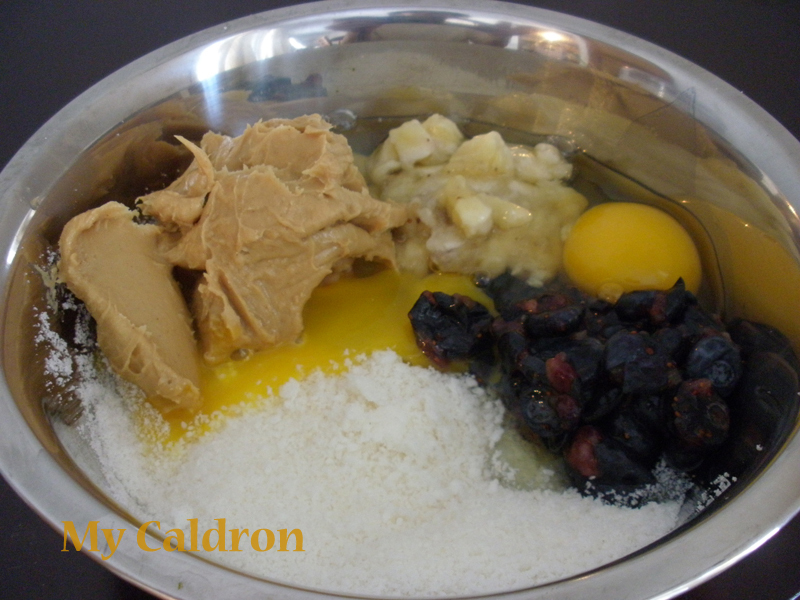 In a large bowl, add coconut flour, peanut butter, apple sauce and mix well, beating it for a couple of minutes. Add crushed blueberries and mix. 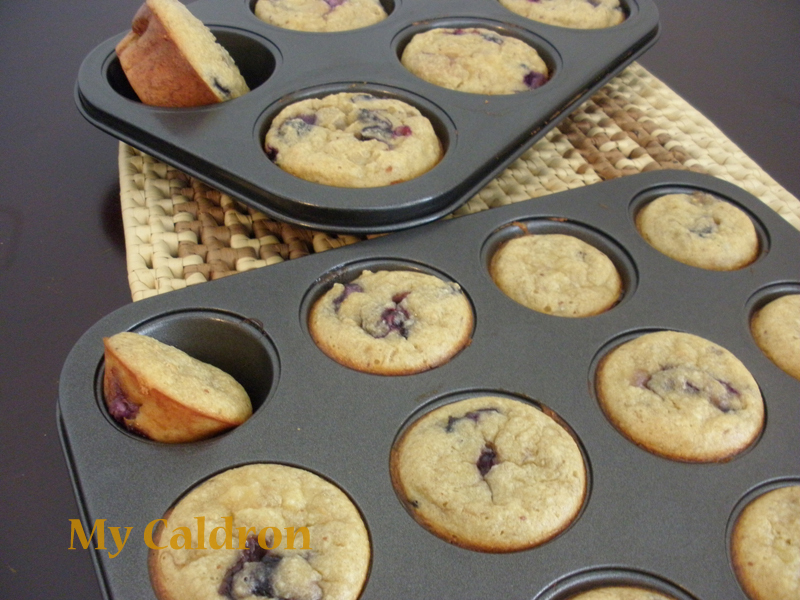 Use small or medium size muffin tins, depending how big you like your muffins to turn –i.e. small tins for smaller dogs. 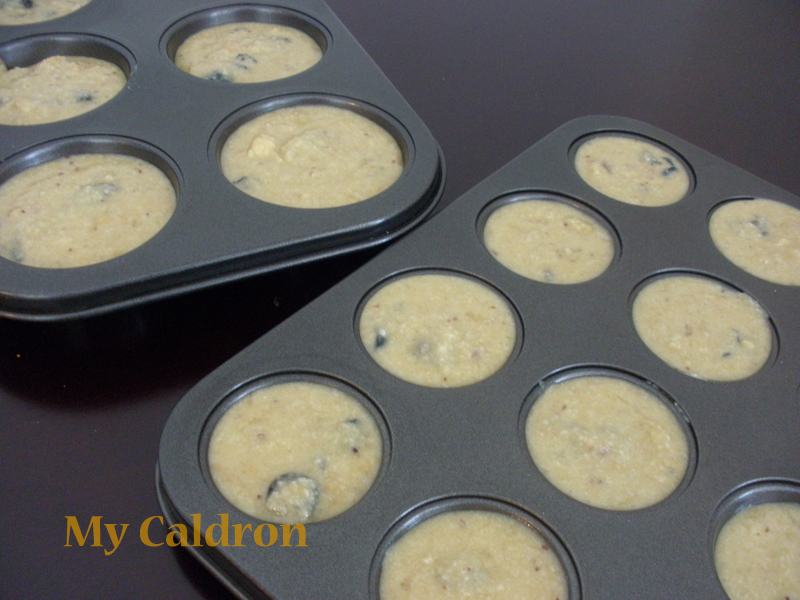 Spoon the batter into the muffin tins, filling them two third of the way. Bake in the oven for 20 minutes. Remove and let cool for 5 minutes before placing them on a rack to get completely cool. You can keep this outside the fridge for 24 hours and in the fridge for no more than a week. Rocky loves this muffin and I adore watching him enjoying it.